Are the Rama artisans confirmed / finalized? I may be interested in those. GMK is ABS. But this set is lovely. Good job biip, will definitely join tomorrow. Woo! Just ordered my first set of keycaps from a group buy! The deskmats weren't there. Are they going to be available separately? Ordered, the full suite of keycaps and the salmon enamel artisan from Rama. Deskmats not up yet. Any limit to the RAMA keycaps? I'm glad the Kobe kit made it into the GB. Glad to see that the Kobe kit is so successful! I will create the GB thread very soon! No, there is just a MOQ which is 50. Yeah, deskmats will be available later. We are currently waiting for new samples! Yup, that's the most I've ever spent on keycaps. Praying that this isn't another GMK Necro, cause this set is gorgeous! I already chose RAL colors (IRL) in order to make the color matching easier for GMK. I should get samples very soon, but I super confident. Now I just need RAMA to give some updates regarding the U80-A!!!! So excited to see this open! GL with GB, and thanks again for such an awesome set, biip! Nice you thought of everything! Do we have an ETA on when they are going to be up on the site? I'm in! We should hit MOQ no problem, this set is sick! The pricing is very reasonable and the set is sick af. Set looks awesome, this is my first buy and I’m excited. 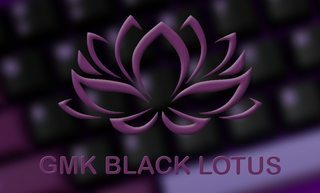 Bought every config and am interested in the mat and the nano as well as the keyboard sleeve you mentioned but that sounds like a possibility and not a guarantee right now as I havnt seen much else about it? Page created in 0.089 seconds with 50 queries.